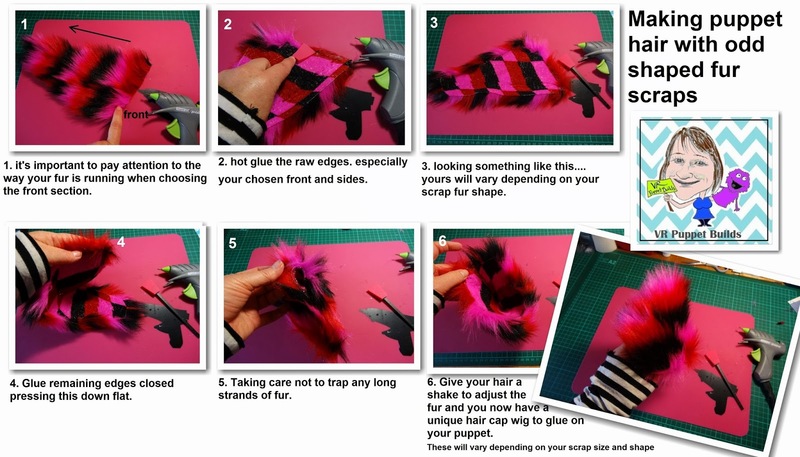 HI all, as promised here is my post on making puppet hair with odd shaped fur scraps. I bought these from a lady off Esty.... you can do a search.... there are quite a few different sellers to choose from. 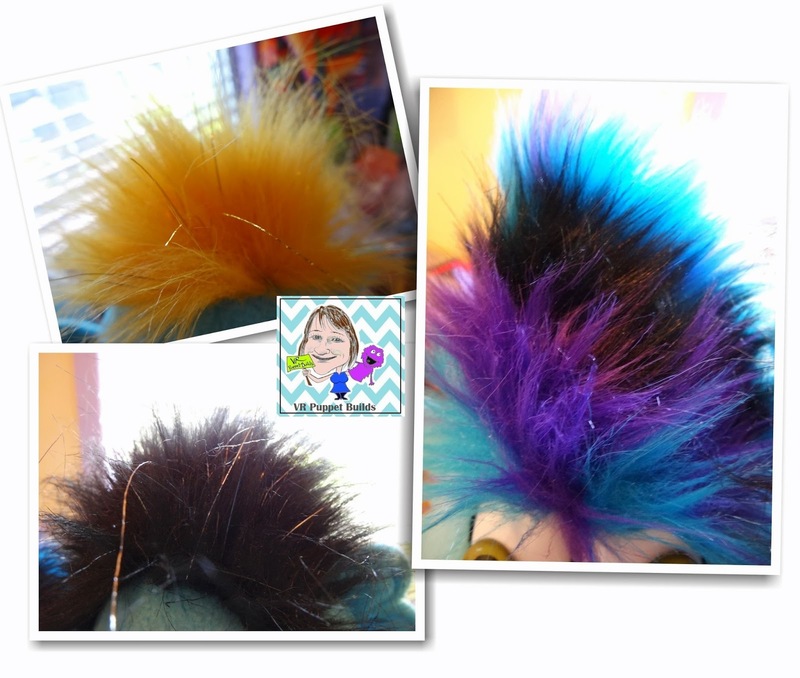 So what I wanted to show was how to glue those odd shapes to make great looking hair. This is just one of many ways depending on the size and shape of your scrap pieces. 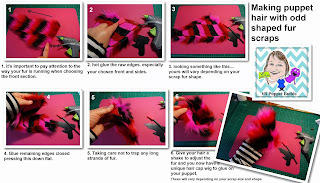 Basically I just took a piece of fur from the bag of scraps ..... it was an odd sized triangle which works great as you can turn this into a cone shape and get some height into the hair without the fur being long. The longer black and yellow hair in the pic above were also triangle shaped but just glued on as is. Find the grain of the fur so it naturally runs from front to back as hair would. Hot glue the chosen front and side edges then glue remaining edges together to form a cone like shape. 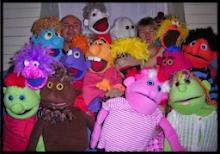 With your front section chosen glue to your puppets head. Ive added a picture tutorial and video below which you may also find helpful. Happy Puppeting! here is a pic of my latest shipment of fur scraps!How fun do they look! I'm so excited because we just don't get anything like this here in Australia.